ExcelR provides four days PMP® certification training as part of our Portfolio of Project management courses. PMP® Certification training is delivered by highly experienced and certified trainers who are considered as one of the best trainers in the industry. We are one of the best PMP® training institutes in Bangalore and our best – in -class training will equip you with a thorough knowledge of Project Management based on PMBOK® Guide Sixth edition and help you to get PMP® certified. 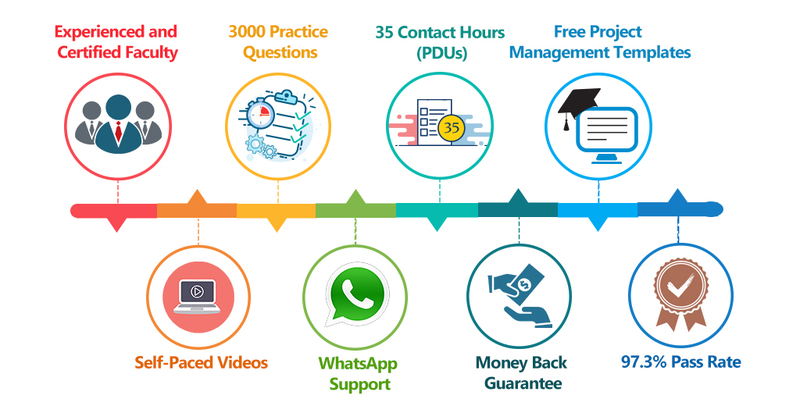 Along with the four days training, we offer you 180-day e-learning access, three sets of 200 simulated PMP® mock examinations, knowledge area wise mock tests, 35 contact hours, free online instructor-led beginner MS Project Professional 2013 training and much more such facilities. A four-year degree (bachelor’s degree or the global equivalent) and a minimum of three years (4500 hours) of project management experience and 35 hours of project management education. PMP® – Project Management Professional is a credential managed by Project Management Institute (PMI®, USA), PMP® is globally recognized certification which demonstrates one’s competency to lead, direct and manage projects across any domain. PMP® certification helps the individuals to increase the marketability of their profiles to the employers and to stand out from the crowd and in maximizing the earning potential of the individuals. The training and certification is based on the Guide to the Project Management Body of Knowledge, (PMBOK® Guide 5th edition). What are the benefits of PMP®? What are the pre-requisites for the PMP® Training? A secondary degree (high school diploma, associate’s degree, or the global equivalent) with a minimum of five years (7,500 hours) of project management and 35 hours of project management education (Or) A four-year degree (bachelor’s degree or the global equivalent) and a minimum three years (4,500 hours) of project management experience and 35 hours of project management education. 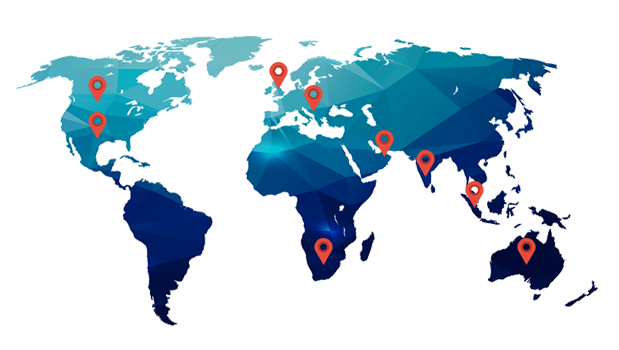 PMP® Exam should be taken in PMI® authorized Prometric centers present in all major cities across the globe. The duration of the exam is 4 hours. The exam is multiple choice format with 200 questions. Out of which 25 questions are considered as pre-test questions (zero marks) and only 175 are scored for the exam result. How many hours of training is provided? 35 hours of classroom / online training provided. Classroom training will be done on 2 consecutive weekends (4 Days) in all major cities. Why choose ExcelR for PMP® training certification program? Any special offers if I enroll for PMP® certification training? Enroll for PMP® and get free access to ‘MS Project’ E-learning videos for lifetime. Do I receive a participant Certificate? 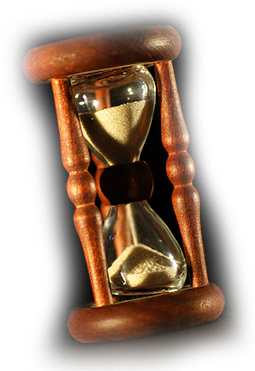 Yes, 35 Contact Hours certificate will be given which is a pre-requisite to taking the exam. Do you provide any post-training support? 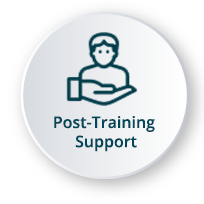 Yes, we provide post-training support till you get certified which is very significant if you have to clear PMP®certification exam. 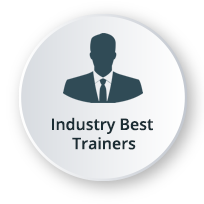 A trainer will be allocated as a mentor with whom you can connect for any required clarification at any point in time. Yes, we provide you with lifetime access to PMP® videos on our state of the art LMS system to recap your concepts at your own pace and convenience. 3,000+ practice questions will be provided to ensure that you have sufficient practice to clear the PMP® certification. What are the career benefits with PMP®? PMP® is the most coveted certification pertaining to Project Management in the world. PMP® certification will increase the marketability of your profile which helps in better job prospects. According to the Global Knowledge survey, PMP® ranks among the top 5 certifications in the globe. Also, there is a 20% salary difference between a PMP® certified and non-PMP® certified professionals. 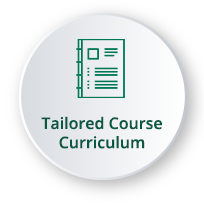 Classroom, Instructor-led Online Classroom Training and E-learning. You can reach out to us by visiting our website and interact with our live chat support team. Our customer service representatives will assist you with all your queries. You can also send us an email at [email protected] with your query. Our Subject Matter Experts / Sales Team will approach you to clarify your queries or call us on 1800-212-2120 (Toll-Free number – India), 608-218-3798 (USA), 800 800 9706 (India), 203-514-6638 (United Kingdom), 128-520-3240 (Australia). Not a problem even if you miss a live PMP® session for some reason. 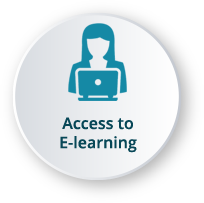 Every session will be recorded and access will be given to all the videos on ExcelR’s state-of-the-art Learning Management System (LMS). You can watch the recorded PMP® sessions at your own pace and convenience. Will I Get A PMP® Course Completion Certification From ExcelR?